A lovely handmade velvet flower fascinator for any special occasion, a wedding, the races, prom etc. I have used several of my vintage items in this design, and I hope you like it. 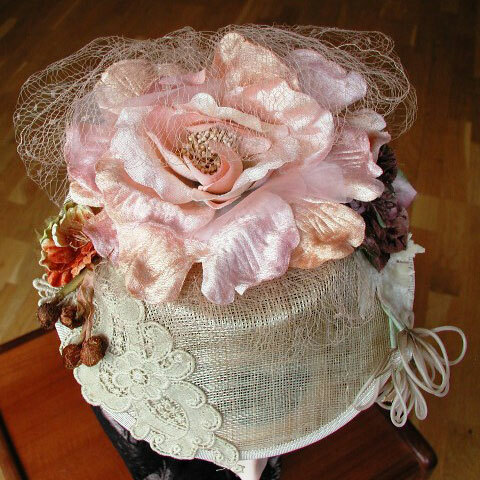 It is a cream sinamy base in an unusual shape, topped with the huge velvet and organza flower in shades of pale peach. 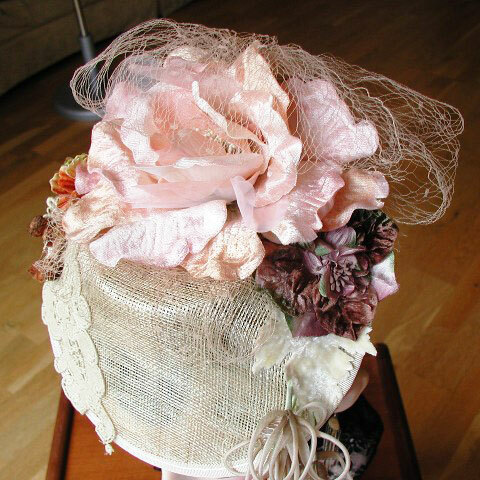 The other embellshments are all vintage, the veiling, the little velvet flowers, dangling buds, leaves, and the wonderful French vintage applique. 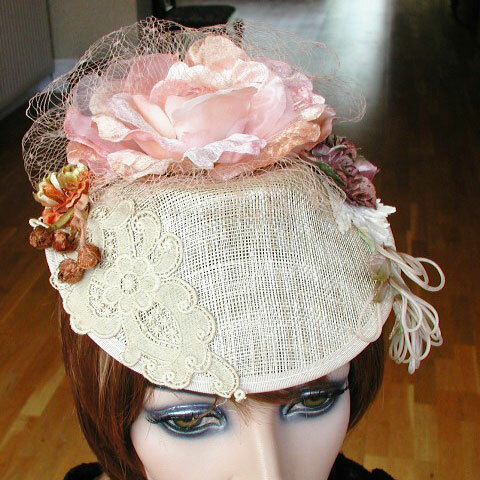 The velvet flower fascinator fits on the head with a comb and elastic for extra security, and comfort. I have tried to show all these details in my photos. If you love something different and you love vintage, this is for you! !